ModalBox is built with Prototype JS framework and script.aculo.us toolkit that helps you create modal interaction processes in your web-application. 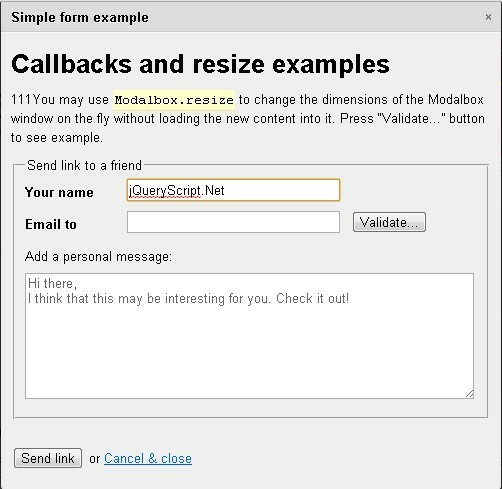 With ModalBox, web developers can create modern (Web 2.0-style) modal dialogs or even wizards (sequences of dialogs) without using conventional popups and page reloads. This awesome jQuery plugin is developed by okonet. For more Advanced Usages, please check the demo page or visit the official website.